Bay Area, California's Fallujah released its debut album, The Harvest Wombs, on November 22nd, 2011 through Unique Leader Records. The band was named after the Iraqi city where American soldiers and mercenaries were killed in revenge beginning March of 2004. The band was formed in 2007 and issued the following demos: Demo 2009, Leper Colony (2009) and Demo 2010. Early vocalist Suliman Arghandiwal, guitarist Anthony Borges and bassists Dan Wissinger and Brandon Hoberg were gone by the time the band had struck a label deal. The band had toured with Fallen Figure in late 2009. In the spring of 2014, Unique Leader Records was issuing a new full-length from San Francisco-based death metal band, Fallujah. The Flesh Prevails was mixed, engineered and mastered by Zach Ohren (Animosity, Suffocation, etc.). An EP, called –Nomadic- had been released in 2013. Brain James was now on guitar. Nuclear Blast Entertainment signed Fallujah to start 2015. Dreamless was issued through Nuclear Blast. The Black Dahlia Murder announced a USA Tour with Fallujah And Disentomb. 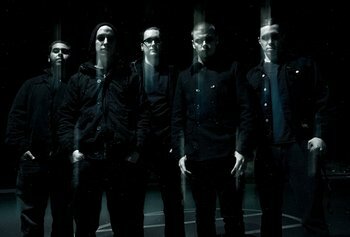 Two progressive metal bands, Between The Buried And Me and Devin Townsend Project, joined forces for the Transcending The Coma co-headlining tour of Canada and USA in autumn of 2016. The trek ran from September 9th through October 15th and included support from Fallujah. Fallujah lost founding member and singer Alex Hofmann in mid-2017. A replacement was being sought.